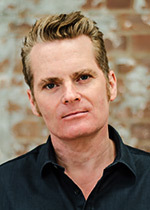 James Bradley is an Australian novelist and critic. Born in Adelaide, South Australia, he trained as a lawyer before becoming a writer. His books include four novels and a book of poetry. His novels have been published internationally and won or been shortlisted for a number of major Australian literary awards.